THE government of Ghana has announced plans to develop Takoradi Port into an oil and gas hub in the West Africa sub-region, as part of the current three-year master plan. Finance Minister Ken Ofori-Atta, is his 2019 Budget and Economic Statement to Parliament in Accra late November, said phase one of the dry bulk jetty with a 600 metre wall has been completed and that the second phase of an additional 200-metre quay wall will commence in 2019. Operation and development of an on-dock container with a container quay of 16-metre draft has also begun. The multi-purpose terminal container will be of great help in accommodating bigger vessels. The master plan, developed in 2014, intends to improve the building of an additional breakwater, dredging of access channels, construction of new berths including a bauxite, clinker and limestone jetty, manganese, landslide side infrastructure and building of new offshore oil base. Reclaiming land, a floating facility, a shipyard, a 300-meter quay and fabrication yards for light and heavy industries are also some of the plans put together in the master plan. The Ghana ports and Harbors Authority has viewed the oil and gas opportunity since 2007. The authority says that exploring the resource and making the port a service hub for the oil industry is a sure way to get the port back to its vibrant feet after the port lost out on the transit trade. The development of Takoradi port as an oil and gas logistics centre is as a result of the offshore oil and gas production by UK’s Tullow Oil. To create more land, dredging back fill will be carried out at an established oil and gas free zone oilfields service hub. 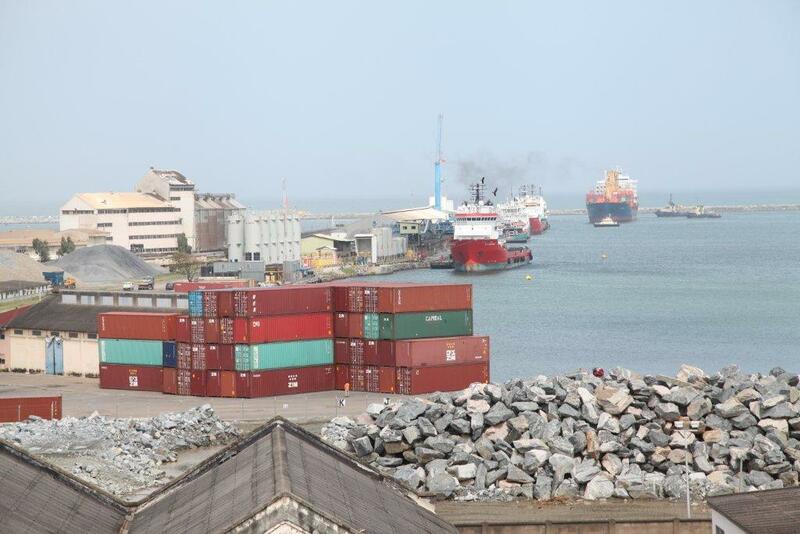 Takoradi, which is Ghana’s oldest commercial seaport, handles 30 percent of the country’s wheat imports, petroleum products and containerised cargo. 70 percent of exports from the port comprise bauxite, forest products, mining equipment, bagged and cocoa beans.